I had never been to Africa before so I was very exited to be adding a fifth continent to my list. We had been very active for the past few days so when we finally arrived we just relaxed and enjoyed the good weather. We stayed at our friends house, Rut and Kolli, which is located right outside Paarl. Africa was our second-to-last stop on our year long journey and we were going to stay here for three weeks. The first week we explored the surroundings, occasionally going into Cape Town. 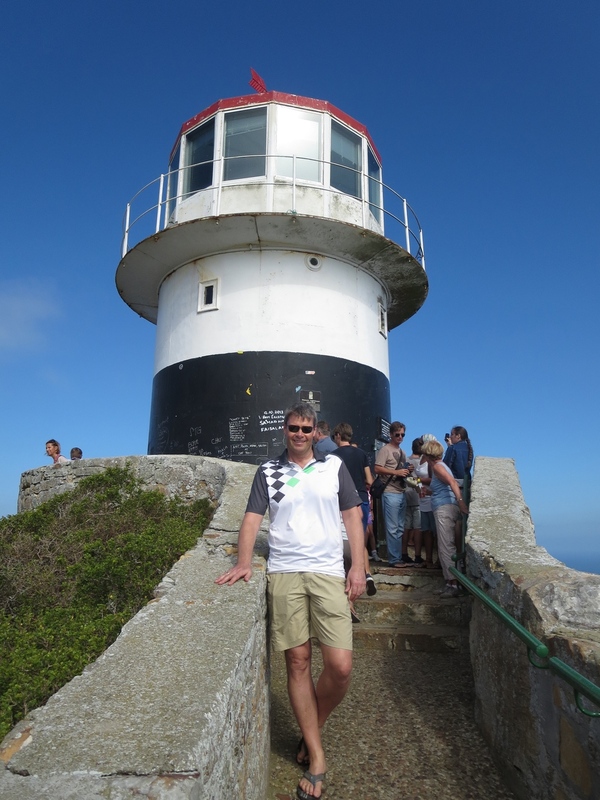 We visited Paarl, Franschhoek, Stellenbosch and more. My mom and dad played a few golf rounds and I studied cause let's face it, I was still basically in school. This part of Africa is different than I would have imagined, though I didn't really know what to expect. Africa had always been so far away and any reference I had to it was from "The Lion King". During the next two weeks we started taking longer trips. We had a more commercial African experience by going on a short safari trip. It was really nice to see so many animals in a natural preserve instead of behind some bars. We saw all kinds of species and learned a lot. We did miss out on one particular animal though, the cheetah, but that will just have to wait. The habitat we visited was a bit small but it was nice to get a small taste of the Africa you would expect to see. We also took a trip along the Garden Route, and there we tried sand boarding. I don't surf but I do snow board so it was fun to try almost the exactly same thing but in different conditions. I couldn't go many rounds because there weren't any lifts so you had to walk back up the hill, and my feet aren't really capable of that. It's still nice to have tried it and now I can forever say that that's something I have done. Another thing I can always say I have done is elephant back riding. That was an awesome experience. We had an hour long stroke along a river on the backs of such wonderful creatures. Their skin was hard and they had thick hairs they use to feel covering their body's, but everything about them just made me love them more. After having gone a bit down the coast, we went exactly the other way to the edge of Africa, The Cape of Good Hope. It was really beautiful there and we saw both baboons and ostriches running around free. Baboons are considered dangerous because they tend to steal from humans, so we were careful not to get too close. What I would say surprised me the most was the extreme divide between the poor and the ones that were better of. The drive from the airport to our friends house went past a few so called townships, which in my opinion represents conditions that no human should live in. They had no running water and only and few lucky ones had some electricity. The "houses" or shelters they lived in were made from either wood or iron. We went into one of these townships that was located a bit closer to where we were staying and the experience is still just so unbelievable. Everyone we met was so hopeful and optimistic even though they had close to nothing. It just show's you that you don't need money or things to be happy, and that so many people take everything they have for granted. In those three weeks we had we did a lot of things, including going up Table Mountain and seeing the sun set over Cape Town. But we missed one, Robin Island. I would have liked to see it as it's a very interesting place in the history of Africa, but as with the cheetah's, it's just something I haven't crossed of my list yet.